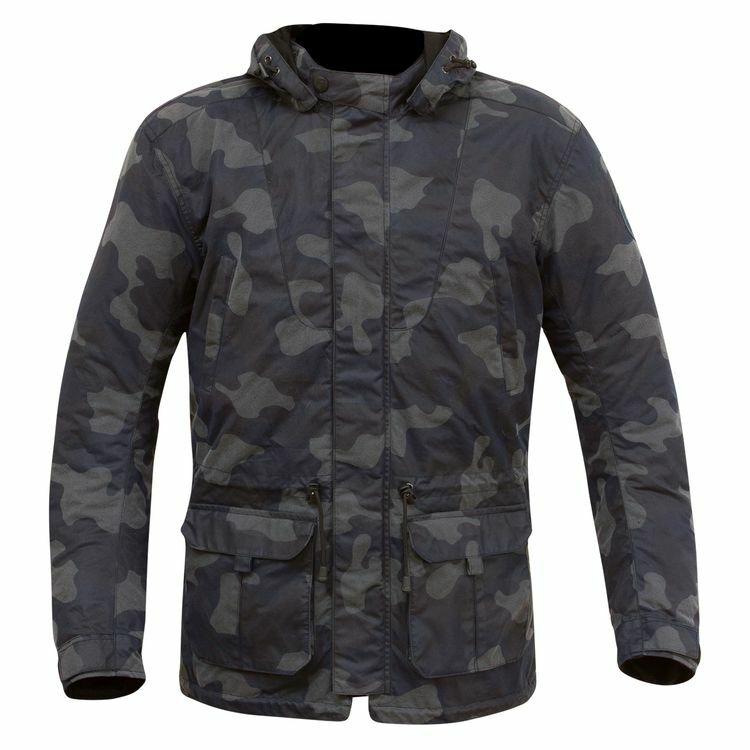 The Merlin Belmot is a camo-print, long-length waxed cotton jacket. Suitable for use on your bike, thanks to the CE protection in the shoulders and elbows. The Belmot looks at ease off your bike, in the city or out in the burbs.